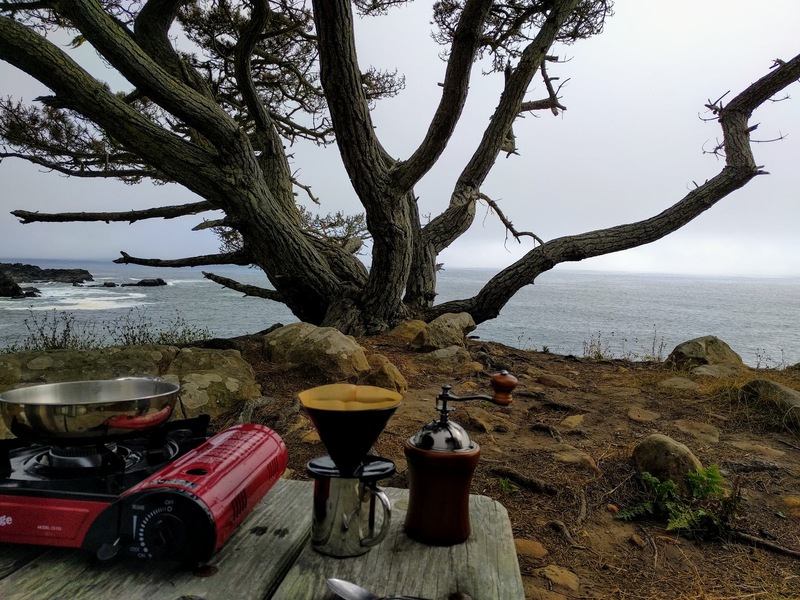 The Northern California seaside tends to be a blustery chilly affair even at the height of summer- you need something dark and strong like shu or lapsang souchong to hold up. But this summer I must submit to my coffee craze. I hand grind and brew low end Gesha for myself and a dark Sumatra for husband all the while feeling pure unadulterated joy of making coffee in the great outdoors. I must sheepishly admit I never felt this giddy while brewing tea outdoors. Why? With strong wind and fire restrictions, the powerful controlled flame of this portable Thunder Range is exactly what does the job. I had forgotten my teapot back at the camp and so had to make do with a shallow pan. I vow to keep coffee making tools in the trunk of the car and a bag of beans in my purse at the ready from now on. While sipping my Gesha- I now totally get why people lurvve their coffee. Coffee does not take energy to love and now I feel a teensy twinge of guilt for my neglected puerh cakes but they will continue to dry age poorly without me snooping on them. The rocky wonderland of Gerstle Cove at Salt Point is one of my absolute favorite play spots in California. 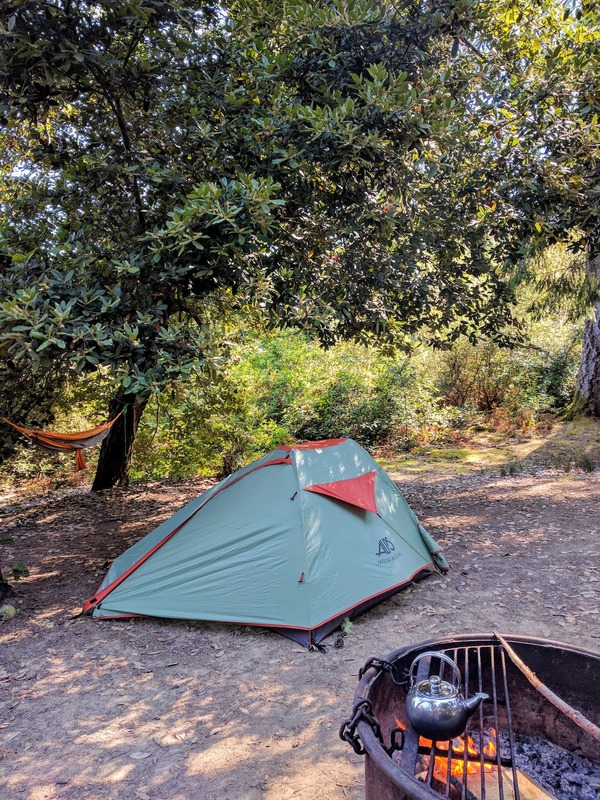 California is chock full of state and national parks where one can goggle at spectacular natural wonders and pitch a tent later. Brewing coffee early morning at the camp site is yet another new pleasure that I am glad I waited so long to appreciate. My Berkeley backyard is too tiny to recreate this cosy woodsy campsite feel but I have hatched new plans to inject more outdoors into my daily living.